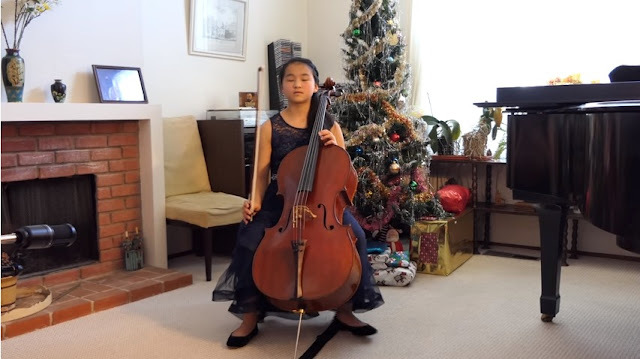 Jennifer Mori, born on March 22nd, 2005, started her cello studies at age 7. She currently studies the cello with Jonathan Koh of San Francisco Conservatory of Music. Her previous cello teachers include Mrs. Sieun Lin and Ms. Kris Yenny. She was the first place winner in the 2015 DVC/HNU Young Artist String Competition, 2016 Music Legacy Open Competition and 2016 Palo Alto Unified District Music scholarship competition. She also won the 2017 VOCE branch competition and participated in the 2017 VOCE state final and claimed 2nd place. She is in 7th grade at Jordan Middle School in Palo Alto. Besides music, Jennifer enjoys swimming, reading, drawing and Karate.